This book is very well written. It has a good shot at winning the Pulitzer this year. It's critically acclaimed and quite popular. Why couldn't I get into it?? Whyyyy? This is one of those books that I should like. It fell solidly in the "just okay" column for me. I've been watching Pretty Little Liars with my youngest daughter. We recently bought the first four books. As soon as she was done with the first one I grabbed it. I didn't expect it to be quite as enjoyable as it was. It was nice being able to compare notes with my kidlet as well. Does it drive anyone else bonkers that her finger doesn't hit the middle of her lips? 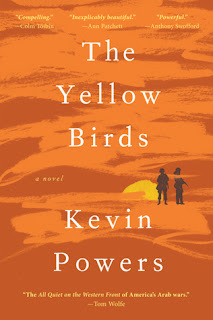 I really liked The Yellow Birds but it was gut wrenching. I thought Eleanor and Park was magnificent too. 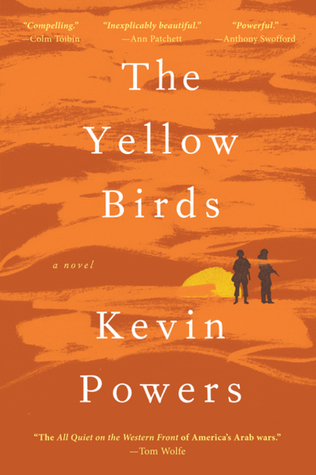 I loved The Yellow Birds, but I totally know what you mean about books that you feel you should love. I've started Wolf Hall no less than four times because it has my name written up, down and all over it, but I haven't been able to get more than a third through (and I very rarely leave books unfinished). Doesn't that make you nuts?? You KNOW darn well you should like that book ;) Think you'll give it another go? I really want to. I've heard Bring Up the Bodies is even better and some of the issues I have with the beginning of Wolf Hall are fixed in the second book. That is the truth! There are some pronoun issues in Wolf Hall that are cleaned up in Bring Up the Bodies. I liked them both, but BUTB was my favorite of the two. I'm going to have to try Eleanor and Park! I love these gifs! Eleanor and Park was such a cute book. I think it'll probably win a prize or two this year. Wasn't it?? Awww, so sweet :) I hope it does, it deserves to win something! I want to read Eleanor and Park too. Fab gifs as always. Thanks Naida :) I'm glad it arrived! I'm not very on the ball about mailing things out, lol. I haven't read the Yellow Birds but it is on my wish list! Happy reading this week. Oh I hate it when I can't get into books that everyone loves and I'm supposed to love. I was like that with Wolf Hall, didn't get the big deal about that book at all. Yes! You know what I mean then. "What kind of a reader am I? I don't like this book that the world loves! What is wrong with me??" ;) Something like that, lol. 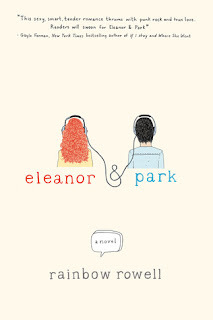 I really want to read Eleanor and Park! My sister is hooked on PLL and I have no idea what she's talking about. But I love the Mean Girls gif :) I haven't read Yellow Birds yet, but I want to, and I couldn't help but noticing that your current read is Amity and Sorrow - I'm really looking forward to your thoughts on that! It's a campy, crazy, awful, fantastic show! ;) I hope you do get a chance to read The Yellow Birds, I'd like to know what you think of it. Amity & Sorrow was..wow. Powerful. You've really piqued my curiosity about The Yellow Birds, even though you didn't really connect with it, and Eleanor and Park. Love all the images! So many people have loved it, you'd probably be one of them :) Eleanor & Park is simply adorable! I'm totally with you on having no interest in going back to high school. And, saying the thing about all the tea in China. That's a cliche that deserves a comeback! High school...it's billed as the best time of your life. Ha! No thanks ;) Isn't that a great little saying? My friends and family accuse me of speaking like a grandma sometimes, lol. I've been hearing some great things about ELEANOR AND PARK. I can see another book purchase in my future, like I need another one. LOL. I hate those books that others love and think is the next thing since sliced bread. Invariably, I either don't "get" them or find something that just leaves me feeling rather uninterested. Another one that I just didn't get was Diaz's This is How You Lose Her. It mostly left me scratching my head, lol. Ah well! I've had my eye on The Yellow Birds and so am glad you liked it! 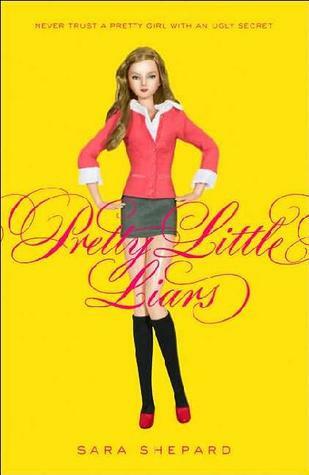 I recently started watching Pretty Little Liars too. I'm on the second season. It's addicting, although sometimes I wonder why I watch it. LOL I am glad the books are good! I wondered about that. It's kind of silly, but it makes me happy when other people don't like well-received books. It happens to me all the time.